This book will sell like hotcakes!' If you understood what that means, you just subconsciously interpreted an idiom. Most children learn these 'figures of speech' in social contexts. But for children who lack this ability, communication can get very confusing. 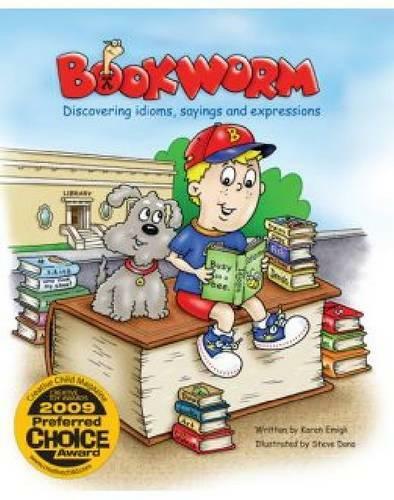 The third book in Karen Emigh's series, "Bookworm" introduces young readers to the world of idioms, narrated by Brett and his helpful dog, Herman. Playful dialogue, clear explanations, and colourful images make figurative language understandable and fun.